Abu Dhabi, the capital of the United Arab Emirates, has grown in popularity to become a fantastic golfing destination, having won Golf Destination of the Year in 2012. Offering its visitors three spectacular golf courses and a variety of luxury hotels, Abu Dhabi is a fantastic choice for a golf holiday. The city, meaning the "land of the gazelle", has grown from a small local settlement, to the capital of the United Arab Emirates that stands today. 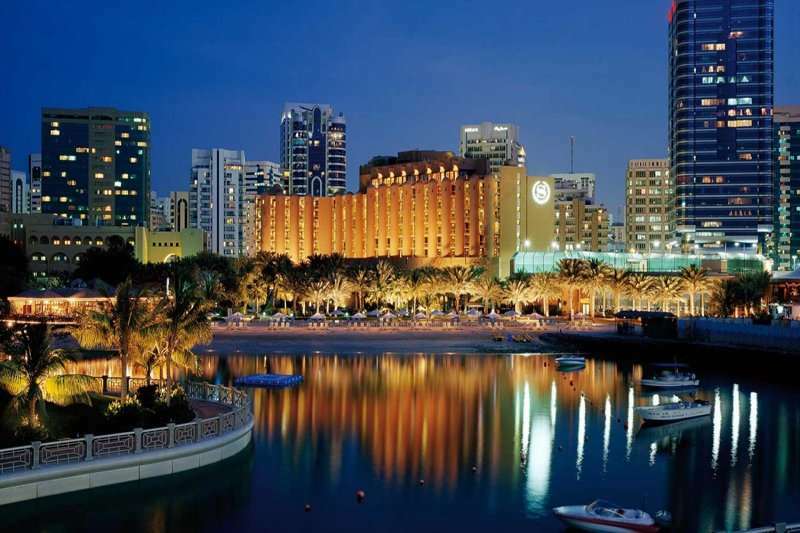 As with most tourist destinations in the United Arab Emirates, in Abu Dhabi you are guaranteed a luxurious stay. 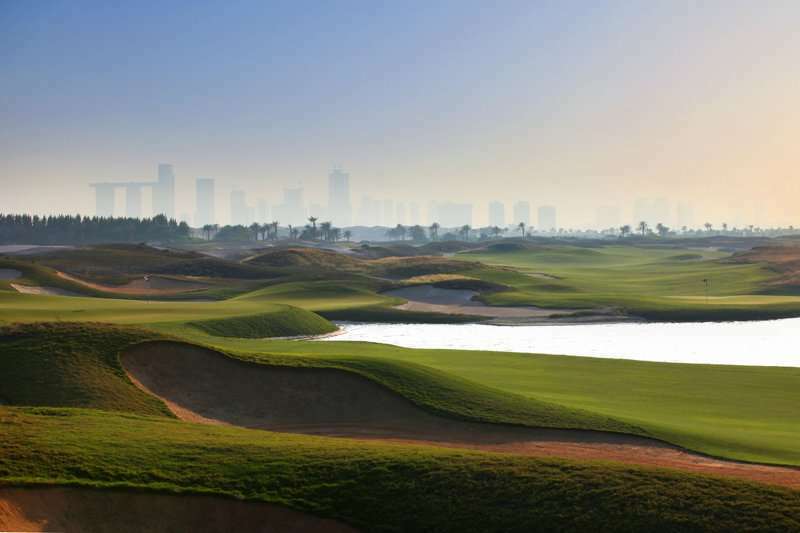 The golf courses in Abu Dhabi are some of the most spectacular you will ever experience. Known for their immaculate condition, golfers will be spoilt with panoramic views of the city, beach and ocean throughout their round. 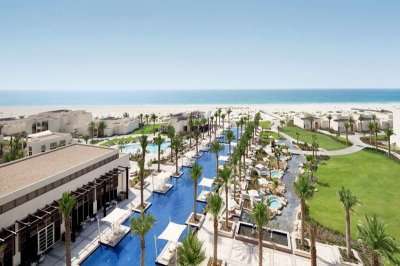 Guaranteed sunshine, a high standard of service and luxurious accommodation are only some of the benefits that come with a golf holiday in Abu Dhabi, therefore its rise in popularity is hardly surprising. Packed with world famous attractions, such as Ferrari World, culture, high end shopping malls and the most breath-taking beaches, a trip to Abu Dhabi is a perfect destination for everyone. There are a wide range of fantastic golf hotels in Abu Dhabi. Pick your favourite accommodation from the options below, or click on View More to see our full range of golf resorts in Abu Dhabi. 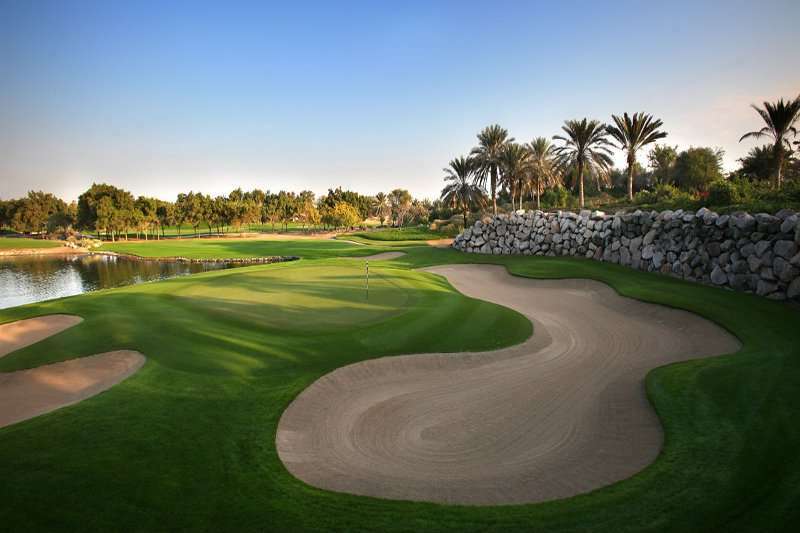 Look through our range of the best golf courses in Abu Dhabi below that will be sure to satisfy even the most demanding of golfers.If you have any specific questions about the golf courses you can visit please do get in touch. Abu Dhabi is home to some of the best championship golf courses on the continent, including the astonishing Yas Island Links, Saadiyat Beach Golf Club and the prestigious Abu Dhabi Golf Club. 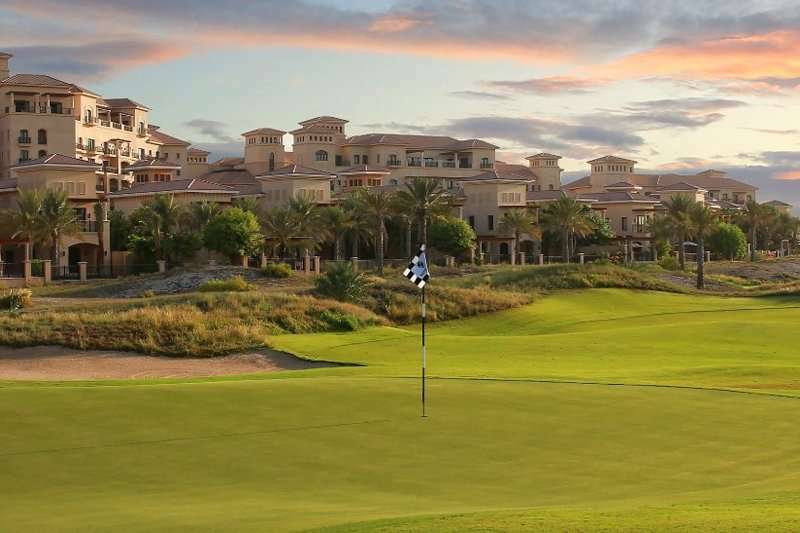 The Abu Dhabi Golf Club is easily considered to be a highlight of the golfing options here, and has presented itself as one of the most luxurious golf resorts in the Middle East. Alternatively, the Yas Links Golf Club is known for its breath-taking views of the Arabian Gulf, and its invigorating challenge. 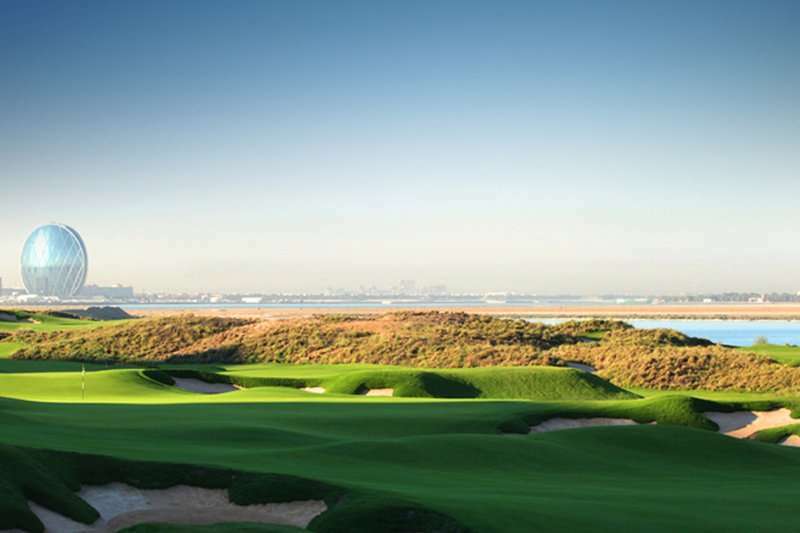 Lastly, to round off a fantastic golf holiday, a round at Saadiyat Beach Golf Resort makes the perfect ending. Golfing in Abu Dhabi is a world class experience with these three unforgettable courses. Not only is Abu Dhabi widely considered to be an excellent destination for a luxurious golf holiday due to its fantastic golf courses, it is also home to a range of luxury hotels, including the St Regis Saadiyat Island 5-star Resort, offering its own private beach on Saadiyat Island, one of the most idyllic locations in Abu Dhabi. 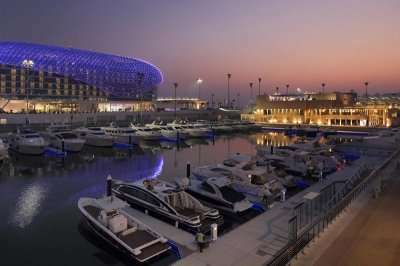 Other favourite accommodation options include The Yas Hotel set on the Grand Prix circuit, and the Crowne Plaza Abu Dhabi, situated just a few minutes away from the Yas Links Golf Club. 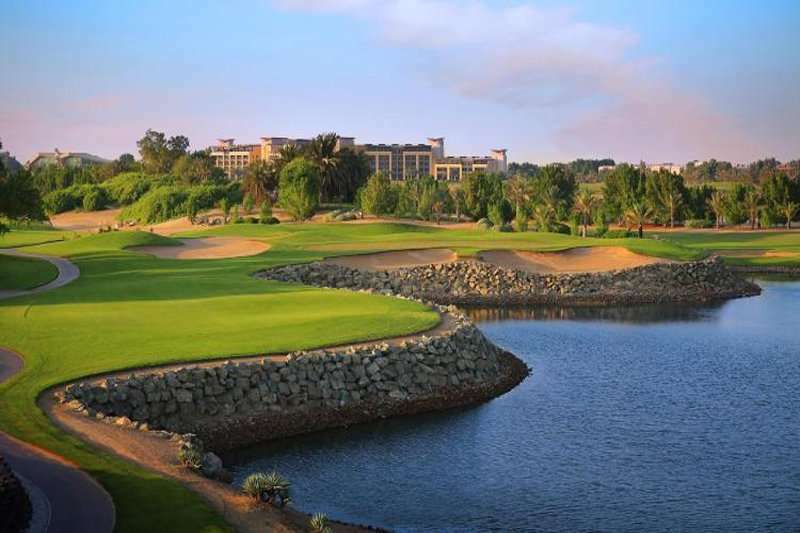 Located under an hours’ drive south of Dubai, why not venture on a twin centre golfing holiday and challenge the very best courses of these two stunning Emirates. For your next long-haul luxury UAE golf holiday, we recommend a visit to Abu Dhabi to experience some winter sun and world class golf. An Abu Dhabi golf package must be on the bucket list.